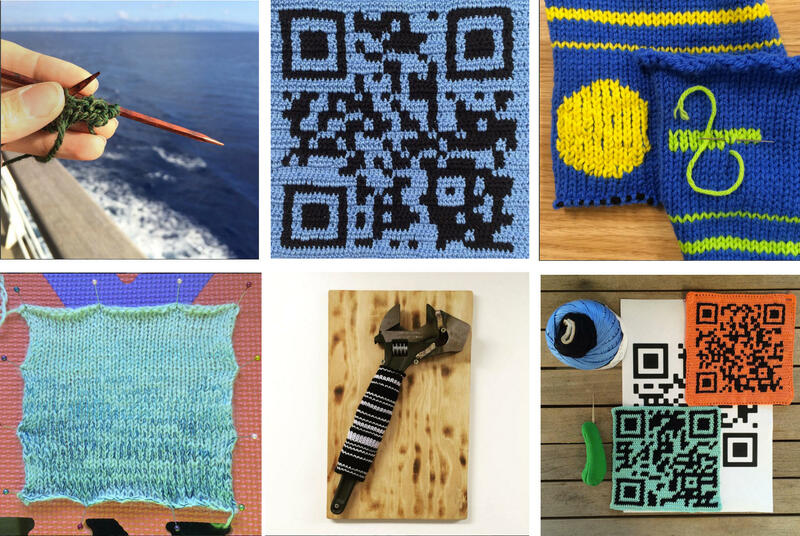 Examples of fiber-artist Michelle Schwengel-Regala's work aboard R/V Falkor in the first week include the knitting of codes, small "yarn bombs" of color around the ship, and visualizations of data streams and readings - all of which she shares on instagram feeds (@spamknitsubi and @schmidt_ocean) to an international audience. Fiber artist Michelle Schwengel-Regala's unpacks her suitcase, most of it yarn and wool. Michelle Schwengel-Regala’s suitcase doesn’t contain what you’d typically pack for a four week trip at sea. 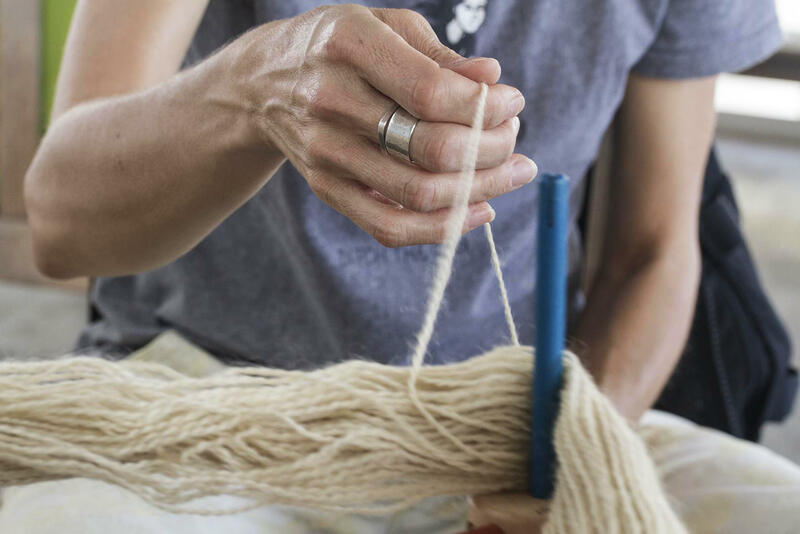 “I brought a lot of yarn in my suitcase today,” said Schwengel-Regala, who’s actually a yarn-bomber, a sort of urban graffiti artist, preferring fuzzy wool and silky threads instead of ink. She was recently chosen from more than a hundred applicants for an Artist-at-Sea residency program. Chief scientist Mak Saito next to a water sampling instrument called a CTD Rosette. Saito and his crew will be using it to collect thousands of liters of water over the 28-day trip at sea on board the R/V Falkor. Up on deck, a crew of researchers make last minute preparations. Mak Saito, the chief scientist on board, leads me toward the back deck. “That’s where we’ll be doing our sampling operations for water and microbial populations,” said Saito. This ship is a state of the art research vessel, capable of mapping the bottom of the ocean. Saito is a biogeochemist who studies trace elements in the oceans. This mission takes him from Honolulu to Tahiti to investigate life in areas of the ocean with very low levels of oxygen, called oxygen deficient zones. “It’s a region that once the oxygen gets low, there’s a lot of interesting chemistry and microbiology that happens,” Saito explains. Michelle Schwengel-Regala works on board Research Vessel Falkor. 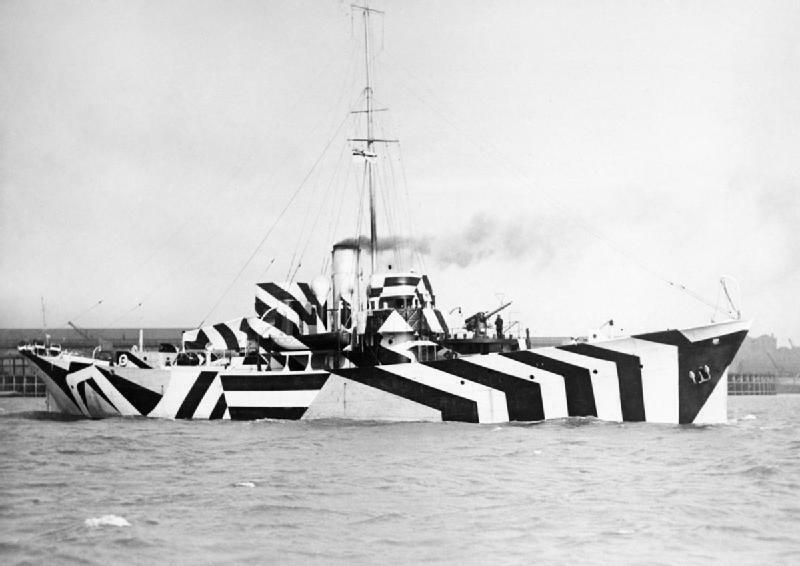 Photograph of British Kil class patrol gunboat HMS Kildangan painted in dazzle camouflage. And Michelle has already left her artistic mark on the Falkor. 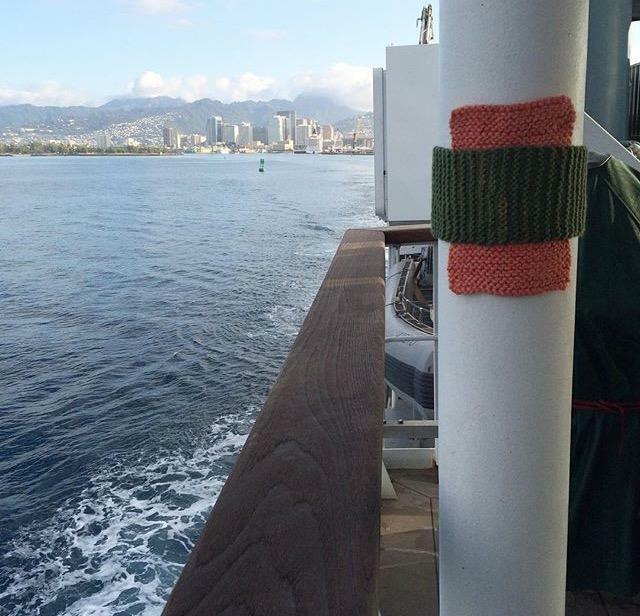 Tucked around one of the ship’s poles is her local trademark: a small knitted spam musubi. Mark Cunningham is a waterman; he was the expert in the lifeguard tower at ‘‘Ehukai, Pipeline, for twenty years, earning the friendship and respect of the world’s top surfers. Cunningham won his first North Shore Bodysurfing Championship in high school, then won over a dozen more titles in a thirty year ocean safety career that spanned countless rescues. HPR’s Noe Tanigawa reports he’s spent the last decade in the ocean, along the shore, and in his workroom. The idea of art therapy is not a new concept. One local program has been around for more than two decades, helping 300 new patients this year alone. It’s proving so effective, that even after they finish their treatment, former patients still come back for the art. HPR’s Molly Solomon reports. “Yarn bombing” is a form of street art that’s cropping up in urban areas across the islands. And as HPR’s Molly Solomon reports, these public art installations feature yarn, wool, and a bit of whimsy! For more information on The FUZZ and to see pictures of their work, check out their website.